The PAPILLIONAIRE Cafe Racer works very well at 3 things: speed, comfort and style. The Cafe Racer is avalible in both 3 and 8 speed, the 8 speed being the more appropriate option for the electric conversion. The inverted handle bars offer a lower and more aggressive riding possition which fits very well with the old school style of the original cafe racers, made for urban speed. The chromoly steel is perfect for a durable, reliable ride and makes a solid base for the electric convertion. This customer went for a 36V, 11.6H battery with a 200W which will give him good range and keeping with the theme of light weight speed. 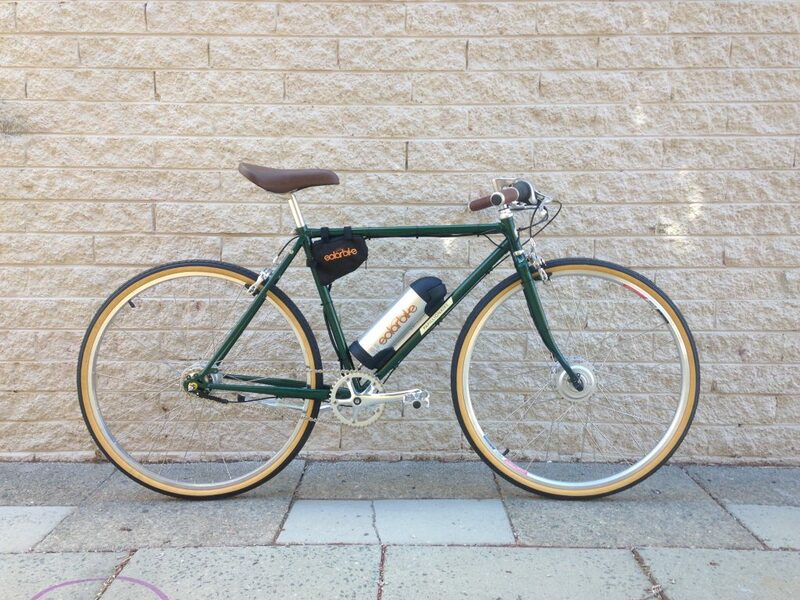 The PAPILLIONAIRE comes in many different colours with different matching parts, The Olive green colour scheme and crafted brown leather saddle and grips really set the bike off well with gum trye walls. All pointing at the old school style of the English cafe race. A timeless classic.